9780515145083, titled "Deputy U.S. Marshal: Deputy U.s. Marshal" | Jove Pubns, July 29, 2008, cover price $7.99 | About this edition: Double-barreled action—the first two Longarms in one volume! 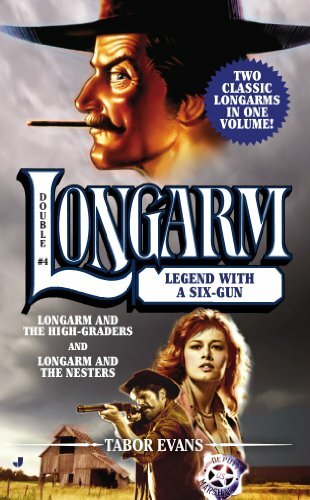 Product Description: Longarm likes to work alone, but when a beautiful woman with near-perfect aim volunteers throws in her rifle to help him catch a gang of vicious outlaws, how can he turn her down? Original. 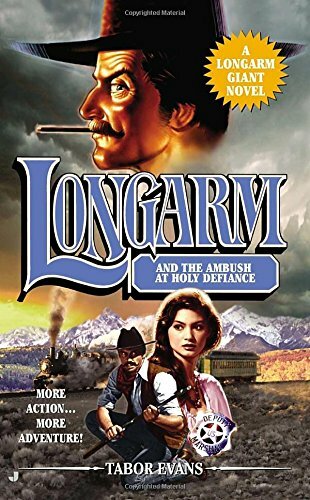 9781552040850 | Abridged edition (Durkin Hayes Pub Ltd, July 1, 2002), cover price $9.99 | About this edition: Longarm likes to work alone, but when a beautiful woman with near-perfect aim volunteers throws in her rifle to help him catch a gang of vicious outlaws, how can he turn her down? Product Description: Deputy U.S. Marshal Custis Long must travel to the town of Helldorado to capture Erroll âBoneâ McCluskeyâbut the outlaw populace arenât about to let a lawdog take one of their own without a gunfight. 9780515146073 | Original edition (Jove Pubns, March 31, 2009), cover price $5.99 | About this edition: Deputy U. 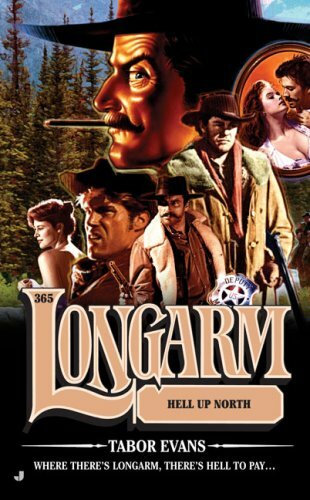 Deputy U.S Marshal Custis Long takes a much-needed stand against a brutal logging magnate who uses any force necessary--including murder--to run rival lumber companies out of the town of Pitchfork. Original. 9780515137958 | Jove Pubns, July 27, 2004, cover price $4.99 | About this edition: Deputy U. 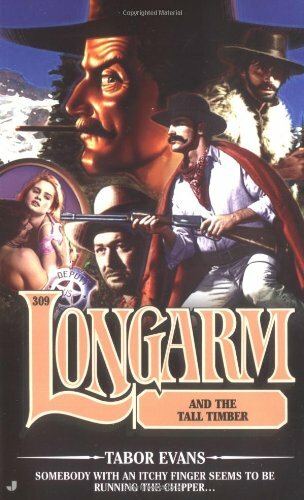 9780515148275, titled "Longarm and the Santiago Pistoleers: Longarm and the Santiago Pistoleers" | Jove Pubns, July 27, 2010, cover price $7.99 | About this edition: Longarm trades lead with hired guns who kill hard for the moneyâ¦Longarmâs bound for Santiago to retrieve a prisonerâa young killer by the name of Wesley Wadeâwhen his stagecoach is attacked. 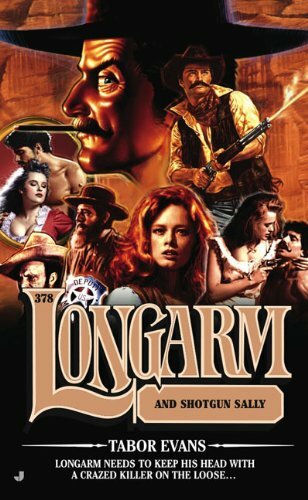 When two prominent local politicians turn up dead and the local madame, 'Big Lips' Lilly, is blamed for the crime, Deputy U.S. Marshal Custis Long heads for Arizona to ensure that justice will be carried out, confronting three murderers and an avalanche along the way. Original. 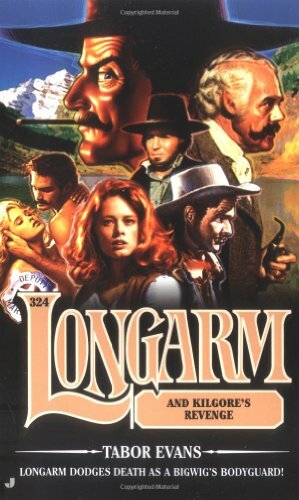 9780515132960 | Jove Pubns, April 1, 2002, cover price $4.99 | About this edition: When two politicians turn up dead and the local madame, 'Big Lips' Lilly, is blamed for the crime, Custis Long heads for Arizona to ensure that justice will be carried out, confronting three murderers and an avalanche along the way. 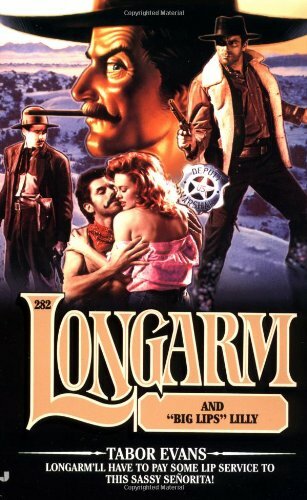 Traveling to Bodie in order to rein in a lawman who has sunk into paranoia, Longarm discovers that Marshal Ivan Kane has been charging local merchants illegal protection fees. Original. 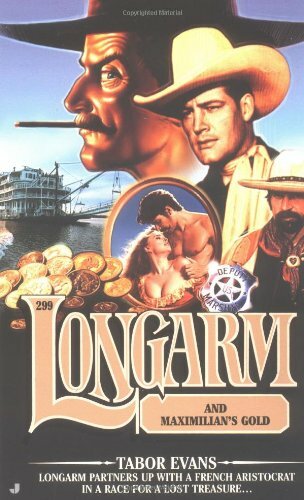 9780515153071, titled "Longarm and "Kid" Bodie: Longarm and "Kid" Bodie" | Jove Pubns, March 26, 2013, cover price $6.99 | About this edition: Longarm defends a wild child…Fourteen-year-old Bodie may be able to take down an assailant with a two-shot derringer, but the kid is still a long way from being able to take care of himself and his wounded wolf-dog, Homer. 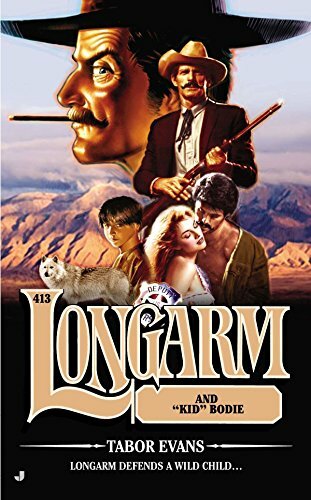 When he saves presidential candidate Gordon Maxwell from an assassin, Custis Long is persuaded to protect Maxwell and replaces an inept bodyguard who, unable to control his fierce temper and desire for revenge, vows to put an end to Long. Original. 9780515140309 | Jove Pubns, October 25, 2005, cover price $5.50 | About this edition: When he saves presidential candidate Gordon Maxwell from an assassin, Custis Long is persuaded to protect Maxwell and replaces an inept bodyguard who, unable to control his fierce temper and desire for revenge, vows to put an end to Long. 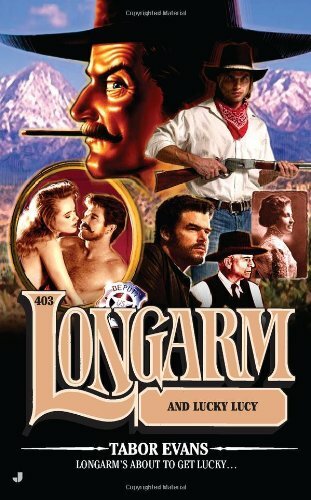 9780515145403 | Jove Pubns, September 30, 2008, cover price $5.99 | About this edition: Will Longarm bring a shotgun to his own wedding? 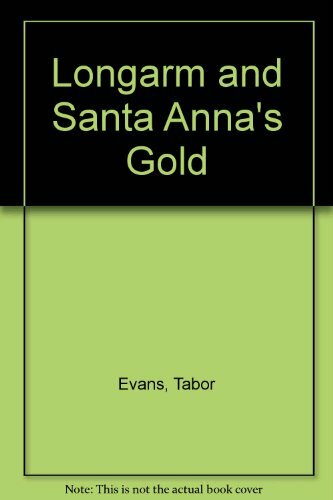 Deputy Marshal Custis Long is forced to team up with the pompous Marquis de Sant Cerre, on orders of the President of the United States, when French gold is stolen - a dangerous partnership rife with betrayal, murder, and greed. Original. 9780515136241 | Jove Pubns, September 1, 2003, cover price $4.99 | About this edition: Deputy Marshal Custis Long is forced to team up with the pompous Marquis de Sant Cerre, on orders of the President of the United States, when French gold is stolen - a dangerous partnership rife with betrayal, murder, and greed. 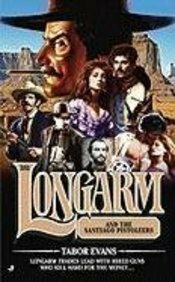 Product Description: LONGARM teams up with a lovely loose canon. 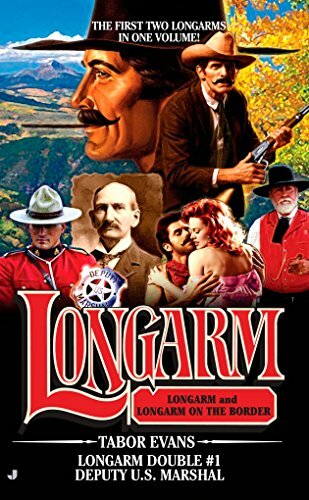 After convincing her not to blast him to kingdom come, Longarm joins forces with Shotgun Sallie to hunt down the shooters who mortally wounded her sister. 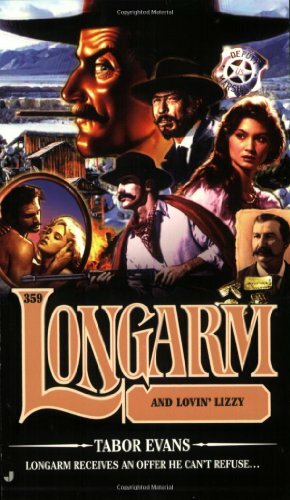 9780515147957 | Jove Pubns, April 27, 2010, cover price $5.99 | About this edition: LONGARM teams up with a lovely loose canon. 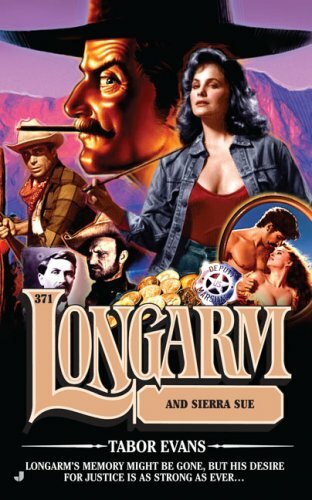 Product Description: After a pistol-whipping from Sierra Sue, Longarm can barely remember who he is. But as the cobwebs start to clear, he's determined to bring the feisty female to justice. 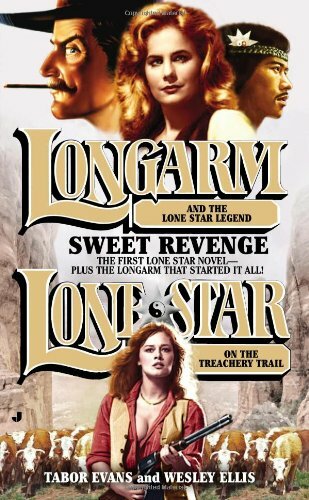 9780515147025 | Original edition (Jove Pubns, September 29, 2009), cover price $5.99 | About this edition: After a pistol-whipping from Sierra Sue, Longarm can barely remember who he is.